All of the numbers. All in one place. Emily Leventhal and Neal Karasic, co-chairs of the inaugural Executive Committee on Young Adults, share some impressive stats as we wind down the year – including our Annual Campaign update, our incredible Chai in the Hub presence and our life-changing grant awards. Help us feed local Jewish families struggling to put food on the table. For as little as $18, you can provide children and parents in need with nutritious meal options. Want to help even more? Start your own fundraising page, spread the word, and get your friends and family involved. If we hit our goal of $15,000, we can feed 30 families healthy food for six full months. We know some families in our Jewish community are struggling with hunger – but we were surprised to learn you can’t always tell who’s suffering or how far-reaching the impact is. That’s why we sat down with Alison Kaufman, Director of Hunger and Nutrition at JF&CS, to better understand this devastating problem. Celebrate Israel: Boston is almost here! On May 31, enjoy an amazing day of food, music, art, dancing and more. What do we mean by more? Try this on for size: a special appearance by Julian Edelman! That’s right, the Pats wide receiver will be joining us at 1:30 p.m.
Want to travel to Israel and Poland this summer? Obviously. We’re recruiting young adults looking to see the world, gain perspective and connect to their Jewish roots. Contact Karen at karenn@cjp.org to get more info and reserve your spot today. Warm weather + making a positive impact = perfection. With Summer of Service, you’ll discover numerous ways to give back all summer long. Roll up your sleeves and dive into engaging – and purposeful – projects to benefit your community. Itching to explore the spiritual and intellectual richness of Judaism? Meet Kevah. Grab your friends, settle in with a dynamic educator and choose what’s meaningful to you from a full menu of fascinating topics. Contact Stephanie at stephaniew@cjp.org to start a group this spring or fall. Hosting the MTV Movie Awards? Check. Starring in hit TV shows and movies? Check. Creating hilarious (and brilliantly biting) comedy? Check. Having poetry written about you by Tilda Swinton? Check and check. 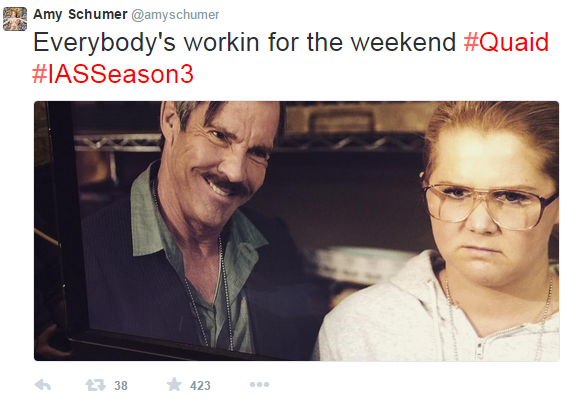 For Jewish comedian Amy Schumer, it’s all in a day’s work. From Baseball’s Jewiest moment of all time, to how not to be a jerk in Jewish India, to a little something called Lox Me Tender, blog Forward’s wonderful blend of breaking news, culture and opinion covers heart and humor for American Jews. Plus: Want more incredible art from incredible local Jewish artists? 8 Nights 8 Windows is kicking off now for Hanukkah 2015! 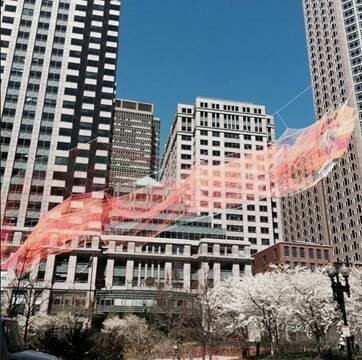 Learn more about this amazing public art project, or apply if you’re an artist! Okay, so it’s more like the Ten Commandments do. Shavuot – which is on May 24 – marks the giving of the Torah to the Jewish people on Mount Sinai 3,300 years ago. May 15 | 7:41 p.m.
May 22 | 7:48 p.m.
May 29 | 7:54 p.m.
June 5 | 7:59 p.m.